Wooden furniture could be easily damaged during moving day if you don’t take some preventive measures. But what could be they? Is it enough just to say to movers to be careful? Not really… Let’s see what should be done to protect your furniture of damage. Experienced movers say that the first thing that you must do when you’re preparing wooden furniture for transportation is disassemble each piece. That can ease you a lot when you’re trying to bring your wardrobe out of your house and, at the same time, will reduce risk of damage. Just don’t forget that you must be careful when you’re taking to pieces your wooden furniture because if you’re using too much pressure or the wrong tools you may break it. Of course, you should keep all pieces, bolts and nuts together if you want to joint your furniture without any problems. Buying proper packing supplies is one of the main requirement for successful furniture removals. You can keep small parts like bolts and nuts in a small bag or box but do you have any idea what to do with larger pieces of your furniture? Of course, you can’t just leave them a the back of movers’ van unprotected because their surface will be scratched all over. Packing paper and moving pads are your best friends in this case so you’d better make sure that you have enough of them. Of course, an essential part of every home removals in London is be very careful. You have to keep your weather eye open when you’re carrying your furniture. 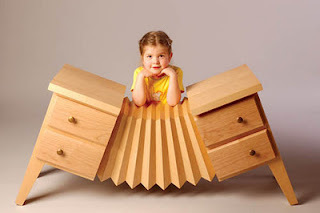 Just stay away of any sharp corners and look out for dropping your furniture.